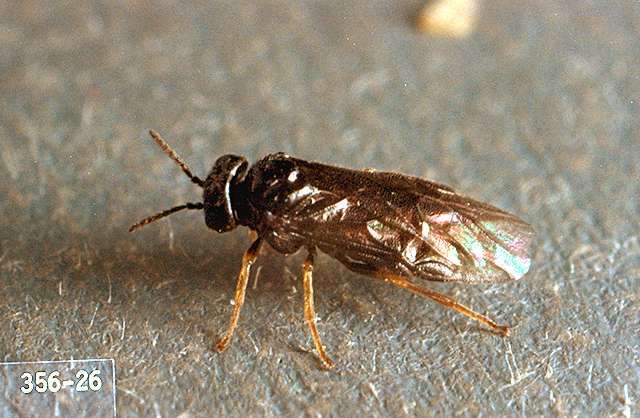 Pest description and damage The adult insects are a small (0.125 to 0.375 inch) black sawfly. Mature larvae are flattened and up to 0.5 inch long. 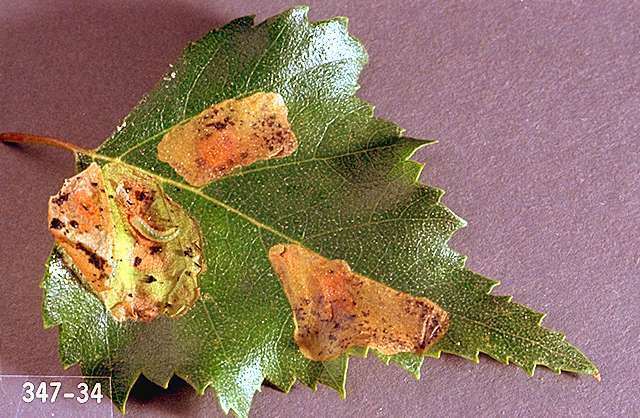 The larvae feed between the leaf surfaces, leaving blotch-shaped or winding brown mines. Repeated severe infestations may result in decline of trees. Vigorous gray, white, and paper birches are attacked most commonly. In some years infestations are heavy. Biology and life history The adult sawfly lays eggs in new leaves. When fully developed, the larvae drop to the ground and pupate in the soil for 2 to 3 weeks before emerging as adults. There may be up to four generations per year, depending on length of growing season. 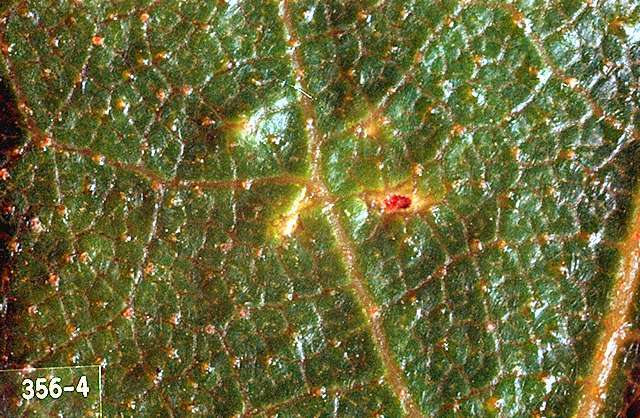 Pest monitoring Check leaves once they are fully formed to assess the numbers starting in spring. Revisit trees to check on the population of subsequent generations. Severe infestations but are soon brought under control by natural enemies. Monitor to determine if parasites or predators are active before initiating controls.